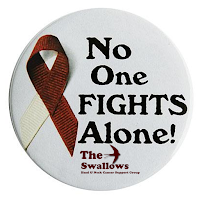 Please can you help us by sending this link to anyone you know over the age of 18 who has had treatment for head and neck cancer, whether or not they currently have any symptoms of dry mouth. We want to find out about peoples' experience of mouth symptoms, including 'dry mouth’ after having treatment for head and neck cancer. This will help us develop better information resources and services to help people who have treatment this in the future. This survey is completely anonymous but it will be useful for us to be able to show which countries have responded, as well as some simple information about the types of treatment people have received. The survey will take a maximum of 20 minutes to complete and ethical approval has been granted by UCLan to proceed with this study. Please click here to access the survey and here to download the full participant information sheet.